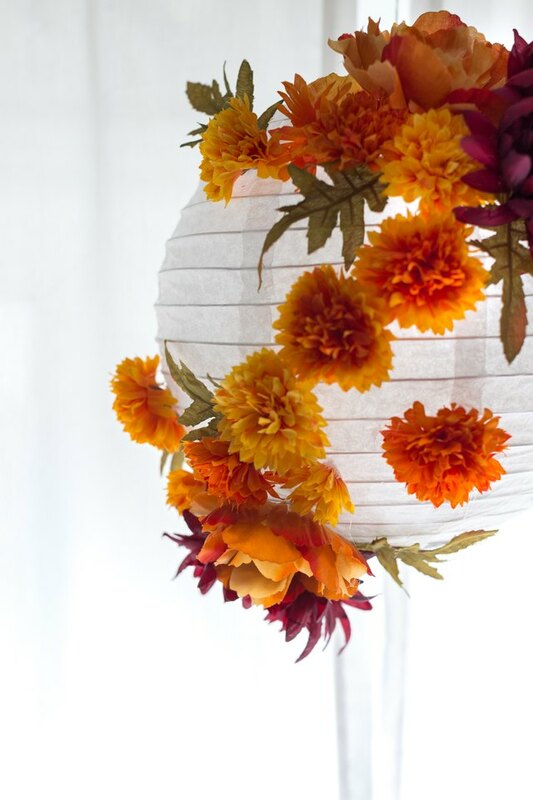 Paper lanterns evoke a soft and enchanting feeling. 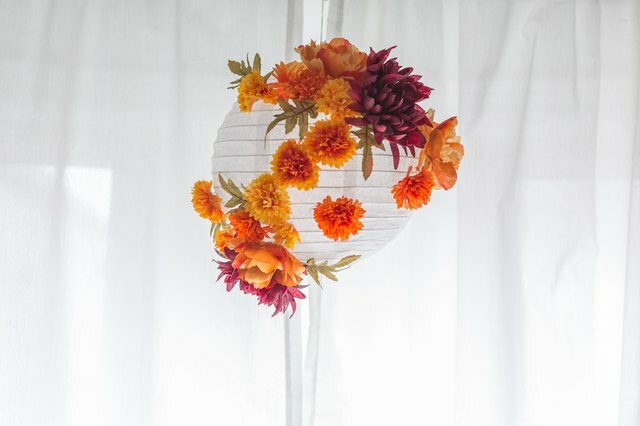 They're beautiful as stand alone party decorations, but can also be enhanced to suit any theme or holiday by simply adding a few embellishments. 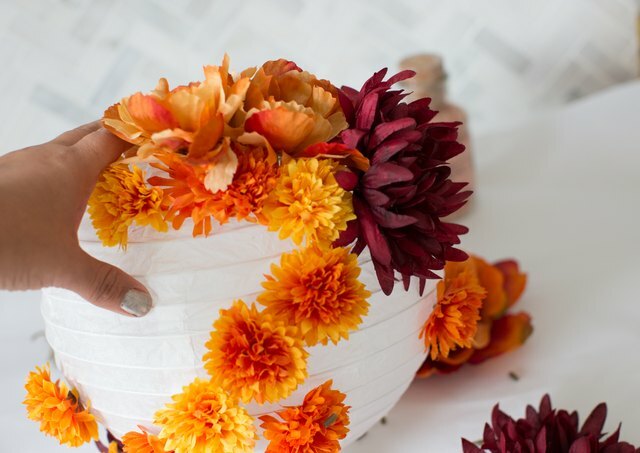 For these autumn-inspired lanterns, we added fall-colored faux flowers, but you can also use real leaves or even fresh flowers. 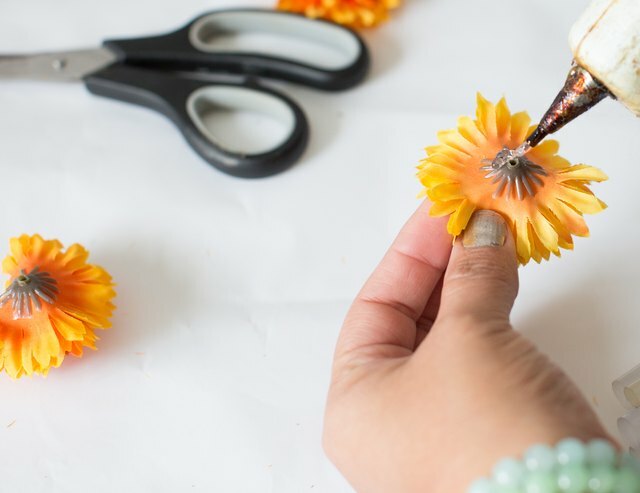 Separate the flowers from their stems by pulling them off or using scissors to cut them off. Cut the tips off from each flower. 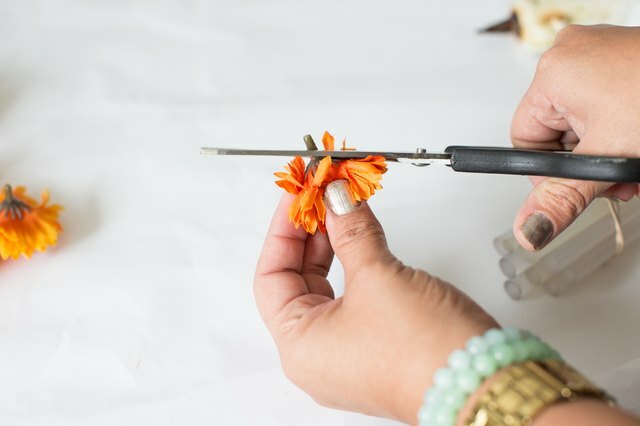 Place a drop of hot glue under the flower. Press the flower onto the lantern to attach. 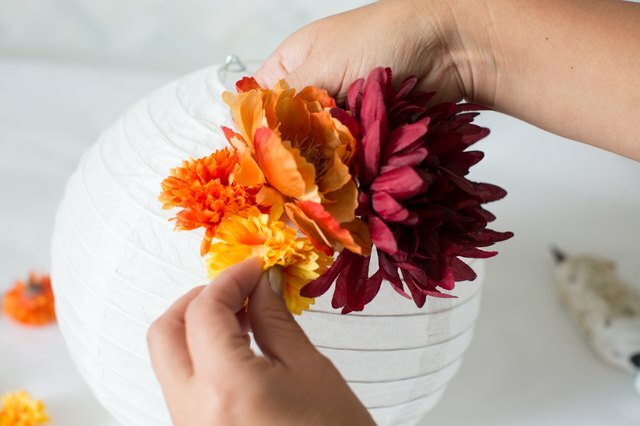 Continue gluing the flowers in an organic manner around lantern. 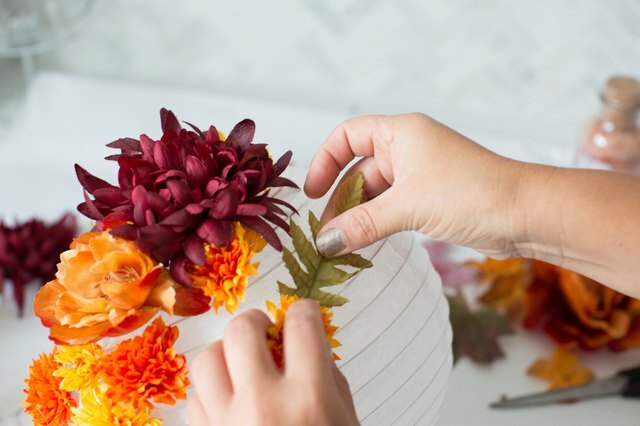 To ensure the lantern is balanced, glue larger flowers at the top and the bottom equally. 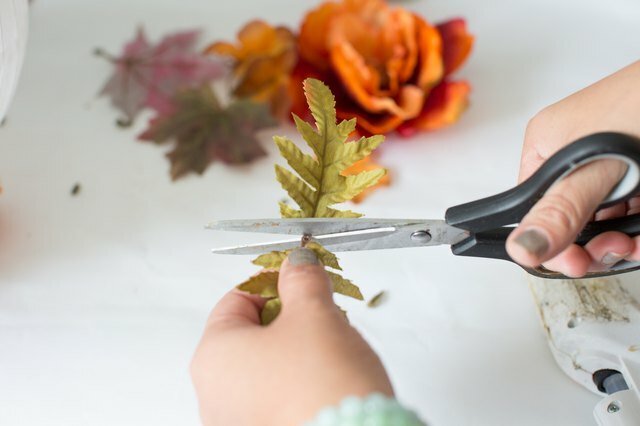 Take some of the leaves from the bunch and cut in half. Glue leaves randomly under the flowers for more interest. 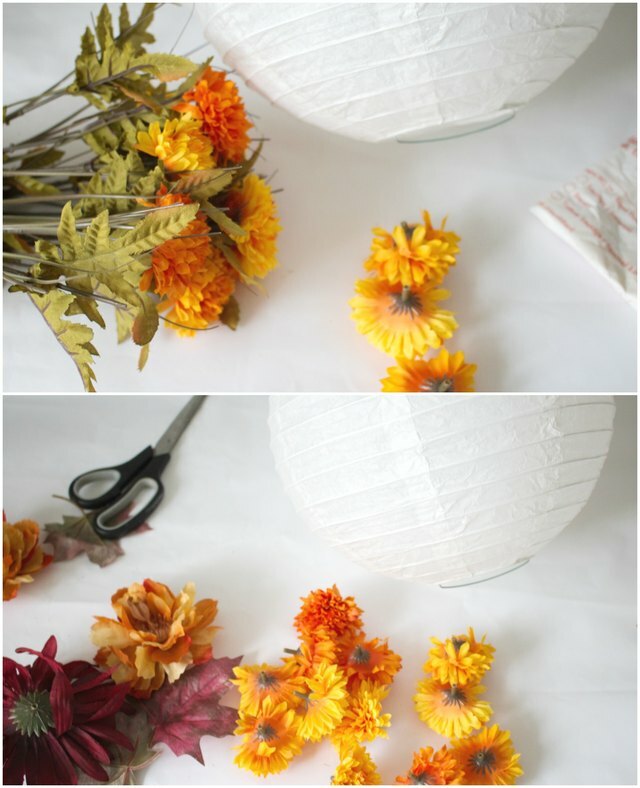 Tie a string onto the top of the lantern and hang. 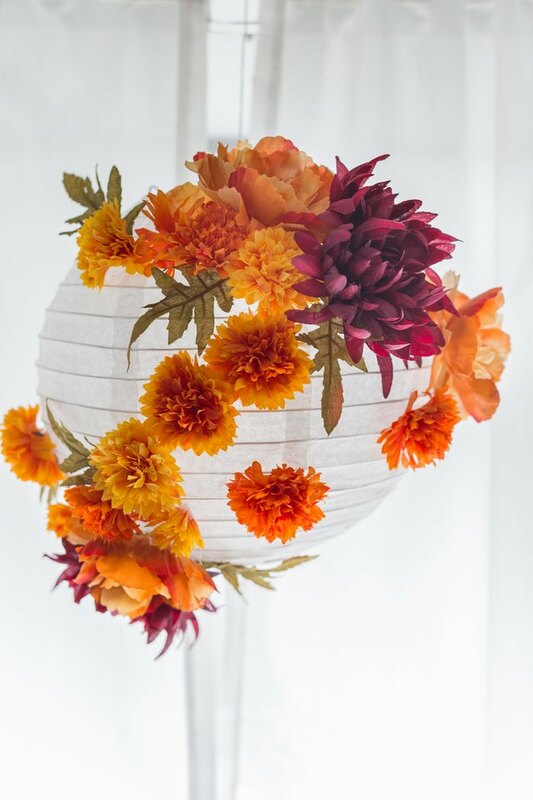 You can use a single lantern or place several in a row or as a grouping for a gorgeous focal point for your event.